This particular carnival always seems to say to me, "Ready or NOT! Here I COME!" And so we are looking at another round of books which are on my Nightstand and may or may not still be around next month! We'll see. 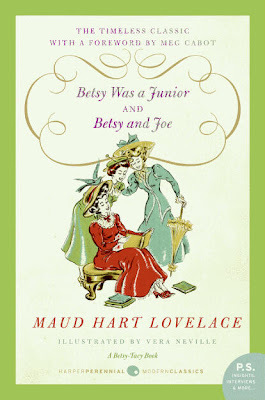 Last month I said I was going to relaunch myself into the Betsy-Tacy books again in anticipation of Sarah's (Library Hospital) Maud Hart Lovelace Challenge. (The challenge begins in October so there's plenty of time to read and plan to participate in that!) I DID read Heaven to Betsy and Betsy in Spite of Herself just this past week and I'll have something popping up about that in the next week or so. As for what I'm hoping and planning to get to during the month of September? I'm pretty excited about all of these. 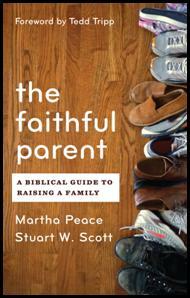 I am looking forward to The Faithful Parent, by Martha Peace. I'll be reading Miracles on Maple Hill for the Children's Classic Carnival at 5 Minutes for Books in September. 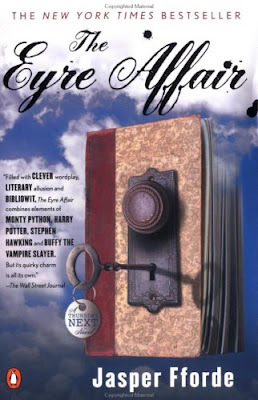 And, of course, I'm very eager to dive into The Eyre Affair as its been on my TBR list for awhile! I anticipate September being a very fun reading month. But then again, I anticipate every month being a very fun reading month. I'm probably most excited about this fall though as, seeing that we're nearing the end of the year. As is typical, I find myself having the same attitude towards only wanting to read fun and enjoyable books that really grab and speak to me. 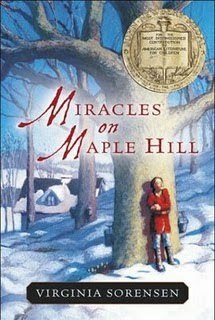 At the beginning of the year I feel like I have all the time in the world to read and will pick up almost anything. However, the further in we get (September!? Really!?) I become much, much more choosy. The thing is - that I always LOVE the fall so much that I'm starting to wonder if I'm wasting a bit of reading time with things that I don't truly care about during the early part of the year. It's not that I've really disliked anything that I've read in 2010. But reading time is so valuable and ...anyway...just thinking about 2011 and thinking I might make a few changes in the way I approach books in general. In the meantime, looking forward to a glorious reading fall! How 'bout you? 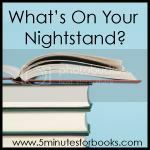 I LOVE this carnival and I'm antsy to poke around your Nightstands and discover what is on them! Looks like a fun list. I used to read anything and everything but now that reading time for me is very limited I'm much more choosy. I just don't have time for books I'm not going to enjoy. I guess the calendar doesn't really affect my reading in general -- day to day life does more. Some good choices there -- looking forward to your thoughts on them. You have quite a few good books coming up! 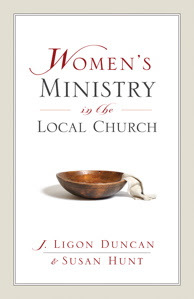 I’ll be watching for your thoughts on Women’s Ministry and on The Goodness of God. Oh, and The Faithful Parent. Enjoy! Looks good, Carrie! I'll have to look up the Faithful Parent book. As for The Eyre Affair, I listened to the audio version a while back...definitely, um, interesting. I'll be curious to hear your thoughts! I just love your blog site! I want to read Eyre Affair. It sounds really interesting. I've started doing some reorganizing of my to-read lists. There is only a certain amount of time in a day, in a week, in a month, in a year. Books are published faster than I can read them so I need to start being more selective to make sure I have time to read the great books, rather than just the mediocre ones. Cassandra - YES! My point exactly. So many books published and so little time. Need to be even MORE selective! Thanks for sharing your list. I would love to read the Martha Peace book. 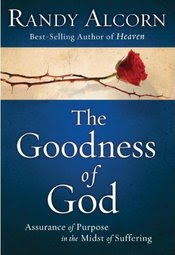 I am adding it to my TBR list! I'll look forward to a review from you as well. That Eyre book looks intriguing. Can't wait to hear what you think.